Are you looking for Event Gallery 3? Jump to the information page. If you start using your flash off camera you'll have to find ways to trigger the flash somehow. There are many ways available today. 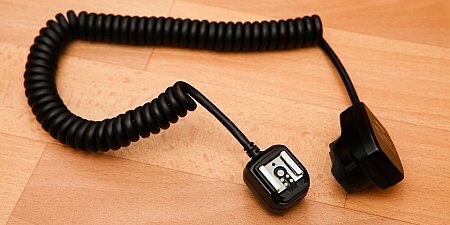 I bought my first radio triggers back in 2008. 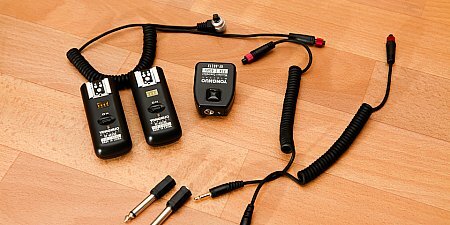 Also known as ebay triggers the cactus v2s became my first set of radio triggers for speedlites. The build quality was poor and the reliability was even poorer. Because of this I switched to the Yongnuo RF-602 devices. Finally it has arrived. 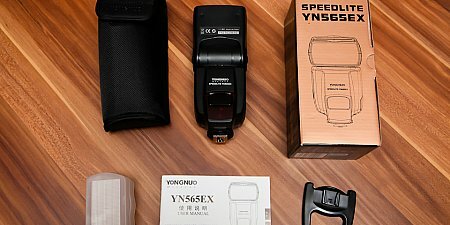 About two weeks ago I ordered a Yongnuo YN565EX speedlite. After reading some promising reviews about this flash unit I decided to get one. The box contains the speedlite, a protection bag, a ministand, a bouncer (which was surprisingly because I didn't order one) and a short manual. It's time to start creating Christmas presents. If you already have a child you'll may know that pictures of it are a good place to start. So I transformed our living room into a strobist studio. Luckily we where able to move most of the furniture out of the way. I tried to lite the background to bright white using four speedlites. One light stand and three gorilla pods where used to position them in the room. I'll have to do some research to find more efficient positions for them. My main light became a 60x60cm softbox and I got some light from a 50x70cm softbox from the left. A 580EXII was attached to each softbox. The most important gear: The yellow duck assisted as a light dummy. My first digital camera has been a Fujifilm MX-600 Zoom. With a tiny 1.3 megapixel this has been my first digital camera. Since 2004 I'm a Canon shooter. Currently I use the 5D MKIII and the 5D MKII together with the 17-40L f4.0, 24-70L f2.8, 70-200L 2.8 IS MKII.